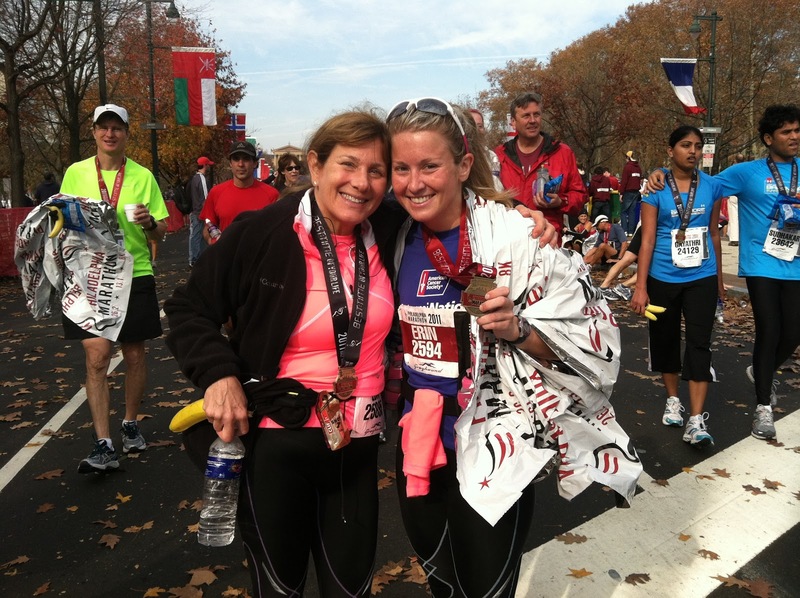 The Philadelphia Marathon was my first marathon I ever ran and it was a great race. It takes place in November when the temperatures are perfect for race day conditions. It started off sunny and became cloudy towards the end of the race so I did find myself chilly but not too cold. 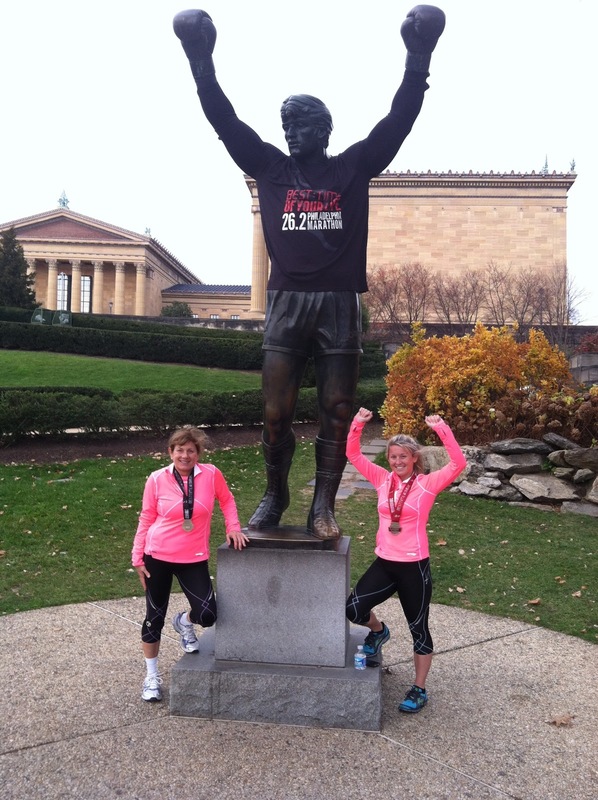 The race course has you start by the art museum where rocky ran up the infamous steps in his movie. The first half of the race takes you through downtown Philly, by the liberty bell, constitution hall, Temple University, the zoo (which has the toughest hill) and back to the museum. If you continue on with the full, it takes you out towards Manayunk which is basically a straight shot out and back. There are some minor hills, but it’s basically flat. The end of both races has you finish in front of the art museum so of course after the race was over I had to take advantage of getting a picture with the rocky statue. The course had random parts with people cheering you on, but it was mainly the first half that you see the most people. once you head out towards Manayunk you really don’t see anyone until you hit Manayunk and, unfortunately, that is when you want people cheering you on because you just hit mile 20 and have a 10k to go which is when most people hit the wall. But I will say it was rather lovely running down the shoot with people lining up to watch their loved ones and random people finishing those 26.2 or 13.1 miles. I think the most memorable experience of the weekend was running with the American Cancer Society’s (ACS) Determination team. It made the race day experience much more enjoyable so if you get the opportunity to run for a cause I highly suggest ACS. Not only are you raising money for a good cause but on race day they have their own tent with food, better than the race provides, you can check your gear there, but more importantly, the volunteers and member for ACS are out on the course cheering you on, and it definitely put and extra bounce in my step when I saw them at mile 24 cheering me on telling me I can do it and that I am almost there. Perks: The expo is huge and fantastic. there are many booths to visit and lots of goodies to sample. the expo is about a mile from the start so if you find yourself staying in downtown Philadelphia it’s not a far walk. Besides the morning of, you will see many people heading towards the start line so you don’t have to worry about getting lost. There are corrals and getting into them can be a challenge because there are about 25000 people running that day. The medals are also pretty great and they have separate ones for the half and ones for the full which is nice. There were also lots of water stops which was lovely. even though I wore a water belt I found myself refilling because I didn’t want to hit the wall and I wanted to make sure I was drinking lots of fluids. 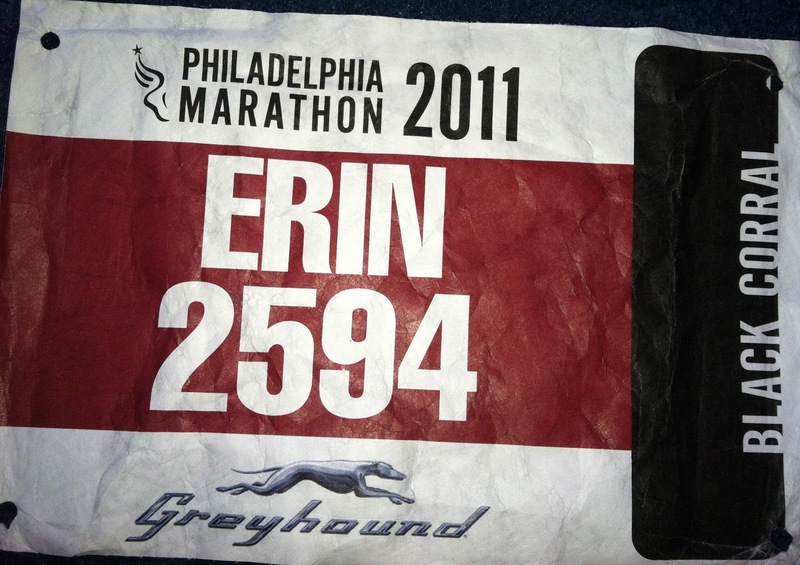 Another thing that I love is when they put your name on your bib. It makes it extra special and something to keep forever. Ehh…Not a Fan: Well I would have to say that the food wasn’t that fantastic so I found myself going to the ACS tent and eating what they provided. They did provide gels at miles 10, 17 and 22 however it seemed like when I hit mile 22 they weren’t handing out the gels anymore. I don’t know if it was because I was more focused on finishing or what but that could be improved. The only other thing I didn’t enjoy was the beginning of the race. They have thousands of people in each corral heading down the road which turned into a two lane road because cars and trucks were still parked along the side of the road, (the cars should have been towed) so I found myself tripping over the people in front of me because there wasn’t enough room on the road the first mile or so. 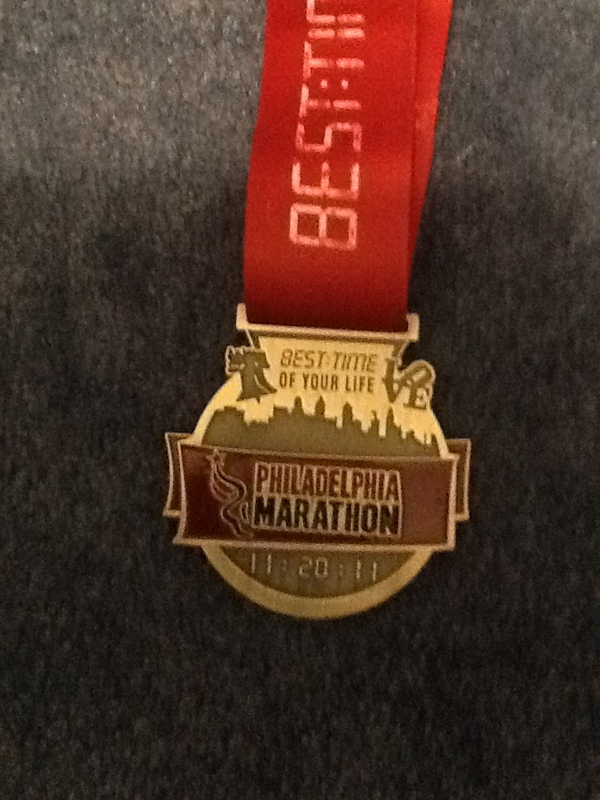 Overall this was a great race to do as my first marathon and I highly recommend it. If you intend on running it, make sure you book your hotels in advance and get to the city early because parking downtown becomes very limited especially if you are staying in a hotel nearby.